There are a number of reasons for an institution to initiate a campus recard. Card office personnel also need to consider the method by which that recarding process will take place. But regardless of the institution or its reasons, knowing when and how to navigate the recarding process can be daunting. John Meriano and Deric Waite from Quinnipiac University offered their advice and experiences based on their university’s recent campus recarding at a presentation given at NACCU 2017. There are typically two reasons for initiating a recard. The first is to accommodate a structural change, which includes a hardware or system change. 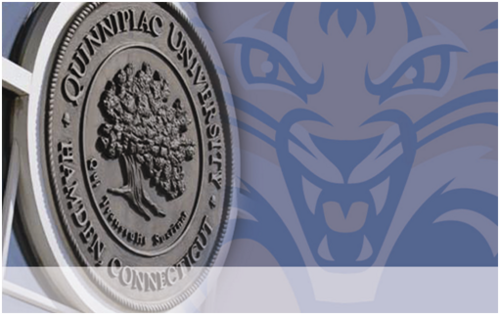 For example, in 2009, Quinnipiac switched from magnetic stripe to contactless cards, which was a major change for the university. During that same year, the campus also moved to Blackboard Transact. “If you have a whole new system, you’re going to need a whole new card,” says Deric Waite, manager of Quinnipiac’s card services. The second reason for initiating a recard is to accommodate an aesthetic change. If an institution is changing an important aspect about itself, such as its official school colors, logo, name, or simply wants to update the look of its credential, then a recard may be the best option. In 2000, for example, Quinnipiac transitioned from a college to a university and needed to change its campus cards to reflect that institutional shift. Once an institution decides to create and issue new cards, it must determine whether the new credentials will be distributed en masse or if they can be distributed over a longer period of time by attrition. “In finance terms, we have to decide if we’re going to pay for it all now or pay for it over the next three to four years,” says Meriano. If a campus is overhauling its card system, then it will likely need to recard en masse. When buying cards en masse, campuses can usually receive a better per-unit cost. The other primary advantage to an en masse recard is that the entire campus community will be using uniform card technology. There are also some issues to take into consideration when planning a recard en masse. While there will be a lower per-unit cost, an institution will have to pay a more expensive up-front cost. The institution will also need to cover the high labor costs due to the large effort it takes to distribute so many cards during a short period of time.